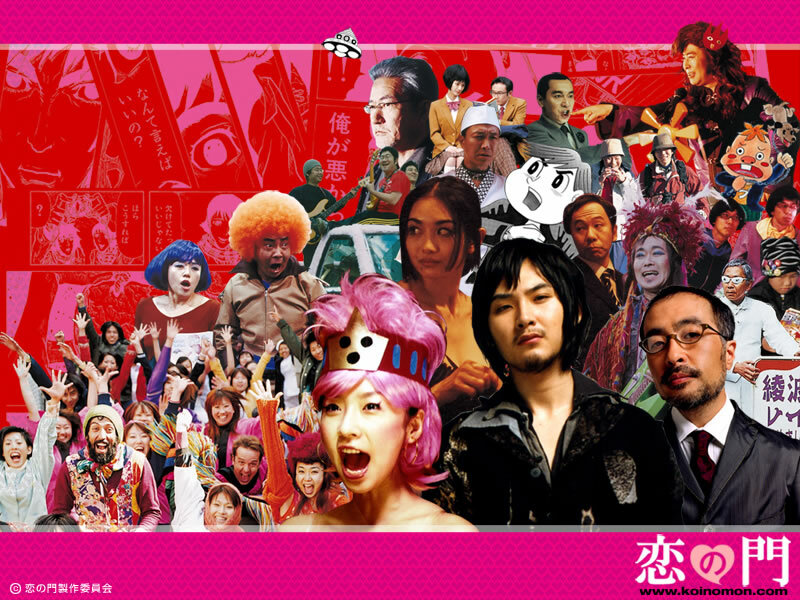 The second of today’s movies was Otakus in Love (恋の門 / Koi no Mon), based on a manga by Jun Hanyunyuu. As I came out of the cinema I heard a fellow cinema-goer describe the movie as ‘bonkers’, which I thought was a pretty fair assessment! I’m no way near geeky enough to have got even half of the pop-culture references and cameos in this movie, but it was fun and definitely entertaining. The whole movie was like a manga come alive, packed full of unrealistic and bizarre happenings, and bursting with life. Otakus in Love is the story of ‘manga artisan’ Mon Aoki who makes art with rocks and obsessively fills his dingy apartment with piles of rocks, and Koino Akashi, a slightly crazy cosplayer (person who likes to dress up in character costumes) and manga artist. Essentially this film is a romantic comedy, but with a large helping of craziness. 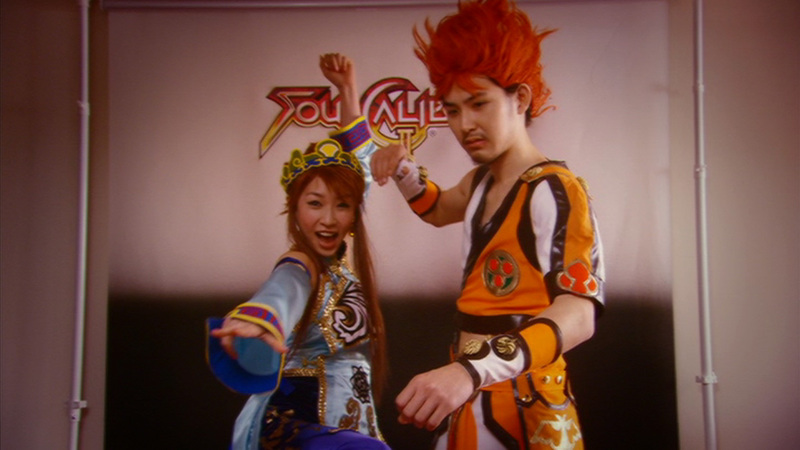 Mon and Koino live in the world of otaku (geeks), desperately trying to make ends meet by doing boring office work and part-time jobs so they can live the life of their dreams, packed with comic fairs, costumes and manga. These young people don’t want to work in the dull ‘real world’ with everyone else – they want something more exciting than that (just like many young people, I imagine). In a chance meeting, Mon and Koino find they have something in common – manga. There are also a few things they will have to learn to accept about each other – one for Mon being Koino’s obsession with cosplay, something he’s not so keen on but gets dragged into anyway. This fast-paced and colourful film is certainly fun, if not exactly a deeply intellectual movie. Sometimes it’s nice just to get lost in another world though, isn’t it? Surely that’s what manga is all about, and that’s what being young is all about too. 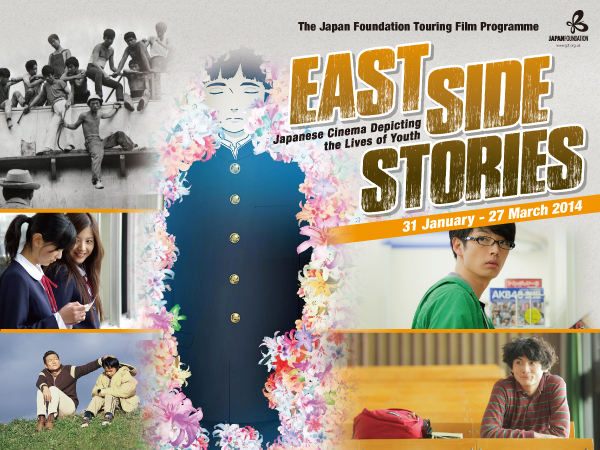 Find out more about East Side Stories, the Japan Foundation’s Touring Film Programme in my round-up here and on the Japan Foundation Touring Film Programme website. I really liked this movie, it was hilarious!